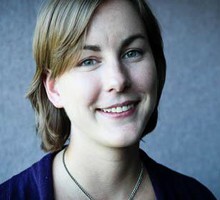 Courtney Flatt began her journalism career at The Dallas Morning News as a neighbors editor. There, she also wrote articles for the Metro section, where she reported on community issues ranging from water security to the arts. Courtney earned her master’s in convergence journalism at the University of Missouri and developed a love for radio and documentary film. As a producer at KBIA-FM she hosted a weekly business show, reported and produced talk shows on community and international issues. Her work took her from the unemployment lines, to a methamphetamine bust, to the tornado damage aftermath in Joplin, Mo. Some Washington lawmakers want to reduce the carbon spewing from our tailpipes. Backers say it will combat climate change. But for businesses, it’s all about those who use fuel and those who make it. The Trump administration lifts restrictions meant to protect sage grouse across the West. In Oregon grazing restrictions are being removed in 13 areas that provide habitat for the imperiled birds. One of the country's most widely-used herbicides could be linked to an increase in early deaths from Parkinson’s disease for people who live nearby, according to new research on Washington farmlands. President Trump's acting interior secretary has announced plans to lift protections for gray wolves in the Lower 48. The move will likely spur controversy in the Northwest. As wolves return to the Northwest, deer have taken notice. Researchers found deer in Washington change how they react when wolves are near – and that could eventually change how hunters hunt. Before you wrap up that date with your special someone, there’s something else conservationists hope you wrap up as well. They say preventing unplanned pregnancies could help save endangered species. Washington wants water at the Columbia and Snake river dams to meet standards to protect salmon from temperatures that run too warm. But the EPA is putting a stop to those plans. Washington officials are proposing more water be spilled at dams during fish migration. The hope is that this would also increase the amount of food for orcas in Puget Sound. For a long time, biologists did not count gulls among the predators that threatened Columbia River salmon's survival. Now, they say that was a miscalculation. If you think environmental policies get more support under Democratic presidents, think again. A new study finds the opposite might actually be true. More people than expected are drinking water that could be harmful to their health. That’s according to a new study that looked at a water contaminate that’s been an issue in the Northwest.